At 2018 SEGD Xlab, you will embark on a journey to explore the cutting-edge of experience design: first in a series of tours to studios and new projects in New York City and then, on the second day, in a series of talks about practice and new projects. There are plenty of opportunities to get together with friends and colleagues at event socials and meet new people to collaborate with. Learn what's on the horizon for experiential graphic design. Don't miss this awe-inspiring event, November 1–2 in New York City. See previous Xlab speakers and presentations. SEGD member Saul Stokes was messing around with Adobe Spark and created this summary of his time at Xlab in Brooklyn. Xlab 2018 is Almost Here. Get Off the Fence and Join Us! All of the excitement, inspiration and community of Xlab 2018 is only one day away; are you still on the fence about joining us? Let's fix that. Session: "The State of Digital: Industry Trends and Insights from Global Experiential Leaders"
Brooklyn is the most populous borough of New York. (Translation: It has a lot of cool people and places, you should check it out.) 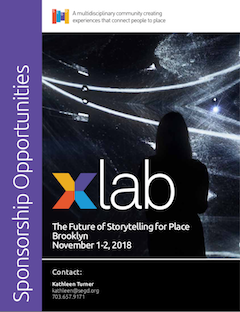 Since you'll be in town for SEGD's signature digital experiential graphic design event, Xlab 2018, we've put together a cheat sheet of things to do (with help from some member Brooklynites). Enjoy! For the fourth year, SEGD's Xlab will be part of New York Digital Signage Week (#NYDSW) in New York. The week-long series of events centering around digital signage begins on October 29 and culminates on the evening of November 2. The events promise to be engaging, with plenty of fantastic free and paid opportunities for those interested in implementing digital signage in their outdoor and retail projects, or, increasing their involvement with the industry. "Each year is better than the previous." 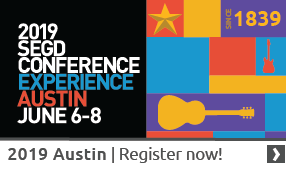 Do you want to attend the digital experiential graphic design event of the year, but your boss doesn't understand how attending is a good use of company funds? Maybe they need a little persuading to approve your trip to Brooklyn for Xlab 2018.We've got you covered: Here is a short and sweet letter that can help your boss see the ROI. For the second year, the culmination of Xlab will be the Best of Show Award Keynote—this year with Refik Anadol Studio,winner of the Best of Show and Honor Award for his project Archive Dreaming. 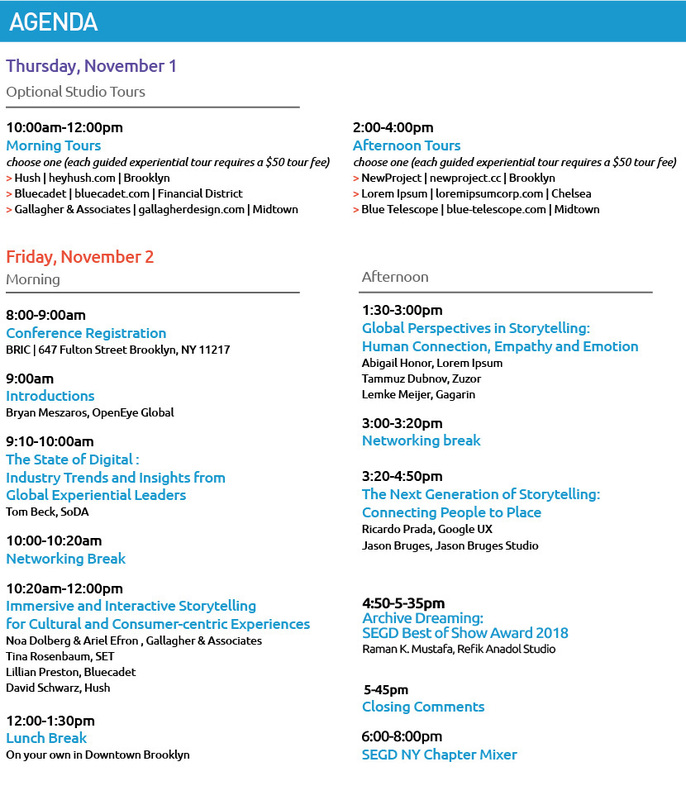 SEGD’s XLAB returns for the eighth year as the only experiential graphic design event focused on the technology-infused future of storytelling for place. Over two jam-packed days, November 1­–2, XLAB 2018 will bring together the people and practices on the cutting edge of experience design, digital media and technology, immersive and interactive public environments and cultural and consumer experiences. NEW YORK—The final event of 2018 New York Digital Signage Week,SEGD’s eighth-annual digital experiential design gathering, Xlab, will be held in Brooklyn for the first time—at the BRIC arts and media center. This year’s theme, “The Future of Storytelling for Place,” will focus on the design practitioners, visionaries, methodologies and technologies bringing immersive and interactive storytelling to life.